A while ago I flew to London with my family and now I want to tell you something about the tower of London because I find the Tower is very interesting and great to visit. The tower of London it is a big old beautiful castle which was built in the 11th century, all around the castle there is a big garden and in this garden there are the guardians of the tower, they are called Yeoman Warders. The Yeoman Warders are really interesting and great because they have extraordinary outfits. The Tower of London has been open for tourists since 600 years. 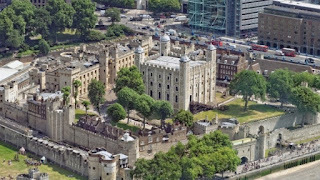 In the Tower of London you can visit the famous crown jewels, the legendary ravens and much more. In my opinion if you have enough time you absolutely should take a self-guided tour, there you get a little phone with headphones. On every exhibit there is a number , you have to type this number into your guide phone and then the phone tells you about the history of the attraction. I think in this way you get to know the history of London completely. I took the tour myself and it was incredible and very interesting, although I normally don’t really like history.